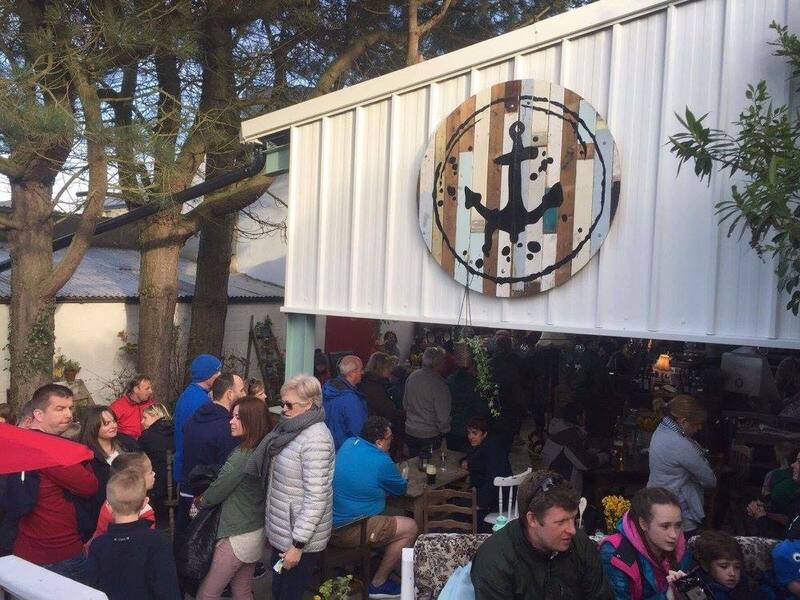 During a recent trip to Dunfanaghy, County Donegal, we stopped at The Rusty Oven for some food and drinks and quickly realised that it was an outdoor pizza restaurant. Now, if you know Donegal or typical Irish weather in general, then you’ll know that “outdoor” eating areas are usually a disaster at the worst, and tempting fate at the best of times. Despite this, we thought it was such a great idea. Luckily the weather was perfect and there really is something unique about relaxing outside with great food, drinks and company. This got us thinking… How could we do this at home? So, without further ado, we’ve developed a set of Slemish Design Studio design tips for the perfect outdoor BBQ area! We know this might sound like a property investment headline but the location is just as important when choosing your BBQ area. Ok maybe not just as important, but it can make or break a great outdoor dining experience! In this case, you generally want to pick a spot in your garden that gets the sun, during the right times of day, is easily accessible with the kitchen nearby, and is free from any heavy foliage. It is also worth noting that you don’t need a huge space. Everything can be adapted depending on the project. Are you going to install a basic BBQ area and use movable garden furniture, as and when needed, or are you planning on something more concrete (excuse the pun!) and permanent? These are some of the key questions you need to consider when designing your new outdoor dining setup. This will filter into other areas of your design plan including storage and materials. Speaking of materials… Our biggest recommendation when it comes to BBQ area materials is, go all-weather, durable and, in terms of aesthetics, as natural as possible. 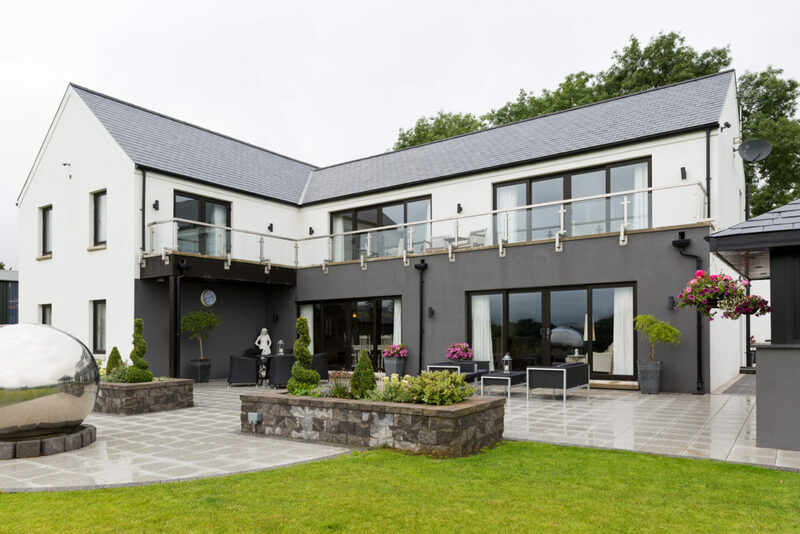 Stone, timber, slate and concrete all fit the bill and should give you a solid base that can be enjoyed during the warmer months but also won’t fall into too much disrepair throughout the winter. 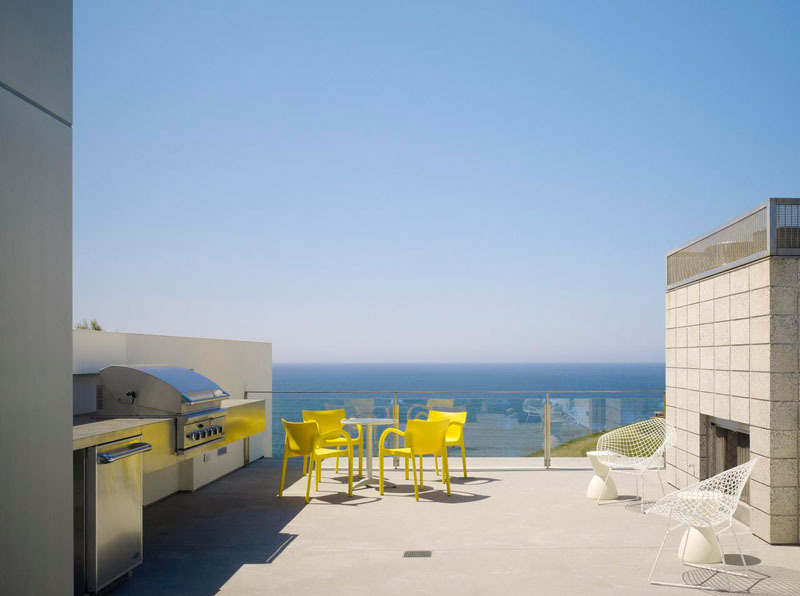 We’ve talked about indoor-outdoor design before and there’s no reason it can’t include BBQ areas. 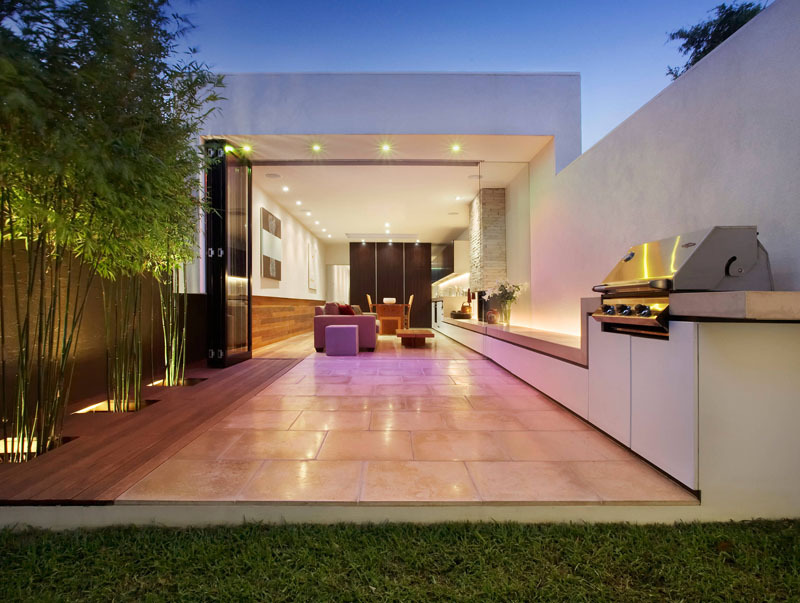 The design concept, which essentially sees the lines inside and outside your home bleed together, can be applied to your outdoor BBQ area if you plan on building it next to a kitchen or living area. This works particularly well if you have sliding or opening double doors! The best BBQs, alfresco dining and garden parties can grow long into the night meaning some form of alternative lighting might be required. Obviously, this won’t be too different from any other outdoor lighting you currently have but could include smart LED lights, hanging lights, wall fixtures and so many more options. 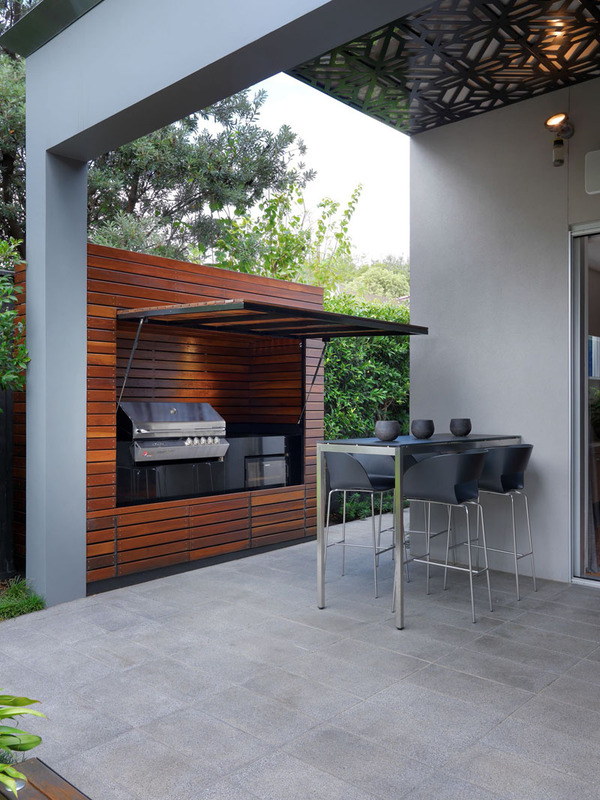 Space and storage might not be the first thing that comes to mind when thinking about outdoor BBQ areas but if you plan on entertaining, even on a small scale, some carefully allocated space can come in handy! 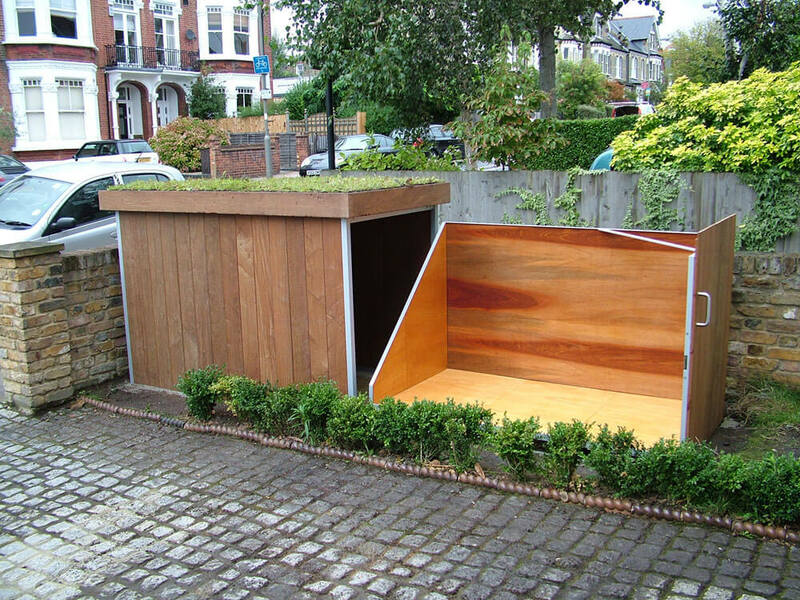 This could come in the form of permanent outdoor shelving, a concrete bench with a removable top or even a permanent dining table with inbuilt storage below. Firstly, we don’t condone mixing alcohol and fire… So if you’re planning on some serious outdoor entertaining then this might not be the recommendation for you! 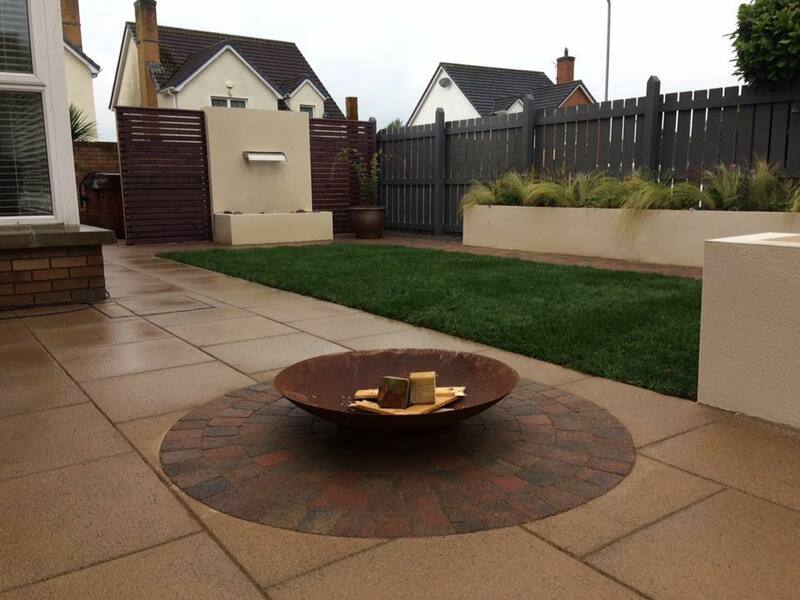 Now that the legal requirements are out of the way we would suggest considering some form of an outdoor fireplace or fire pit simply because, even on the sunniest days, Irish weather can be temperamental and temperatures can change or drop in an instant! A permanent fireplace or fire pit would be the perfect addition to any BBQ area. 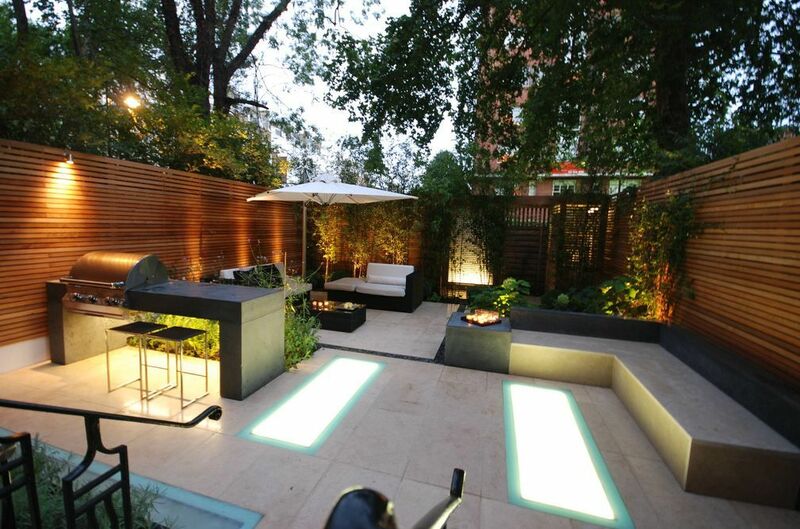 What would be in your dream outdoor BBQ area? Let us know! For any questions, recommendations or design tips, get in touch by clicking here.